Random pics and street photography shot with my corky mobile. “Once you really commence to see things, then you really commence to feel things.” – Edward Steichen. Lima, Peru. 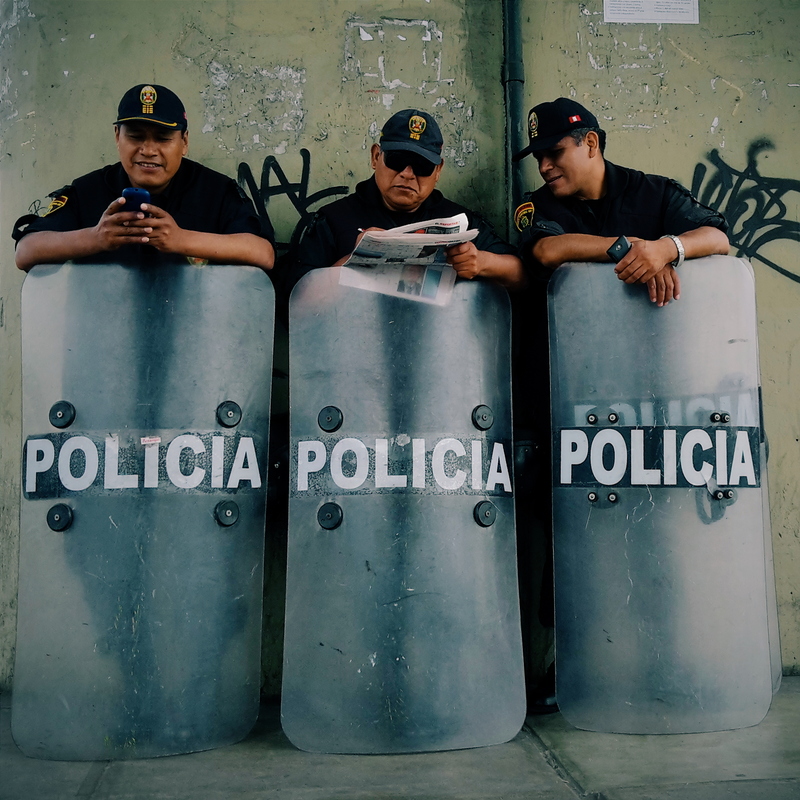 Any given Sunday we could see Peruvian police officers mounting guard as soccer fans pass by chanting and cheering for their favourite team as they walk towards the main stadium. 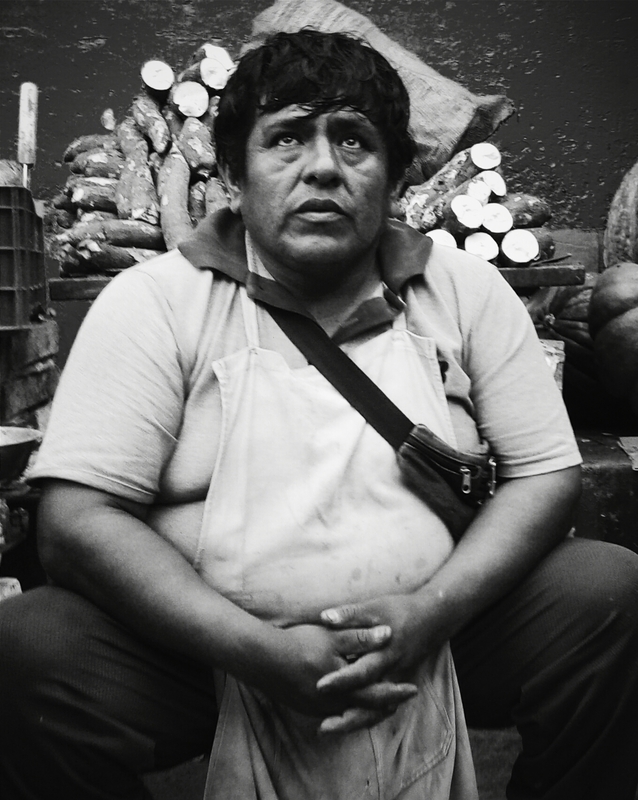 Two months ago, I have met a lovely street vendor while wandering around downtown Lima. 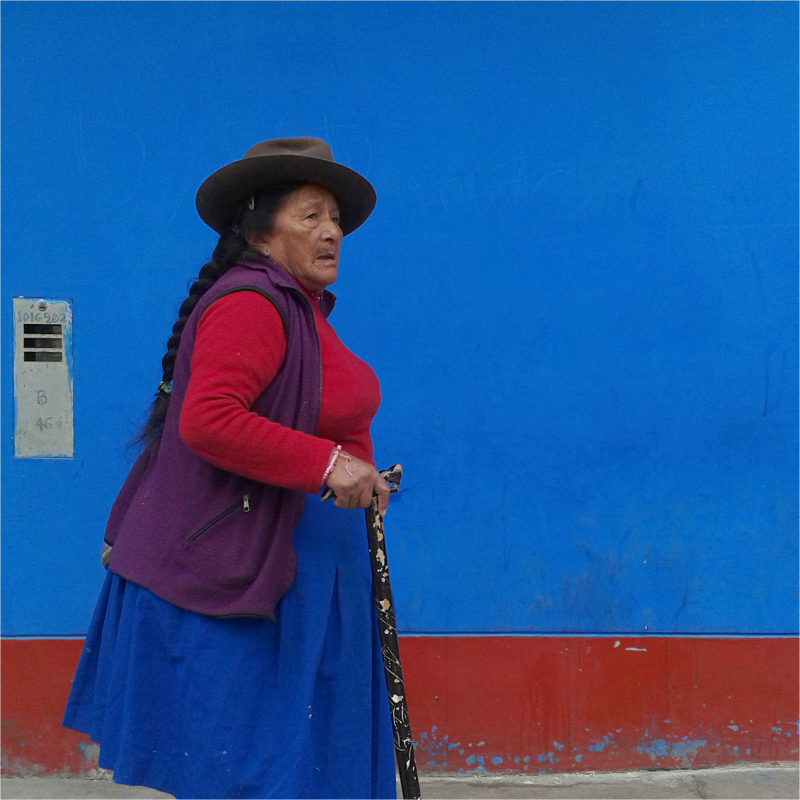 This kind lady sells each colorful knitted plastic bag for five Peruvian Soles. 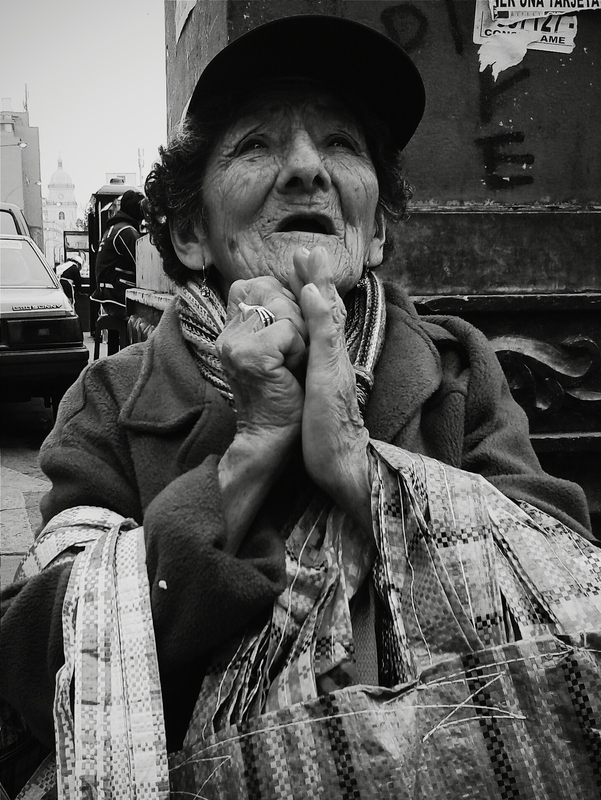 Ernestina was thankful because my purchase was the first of the journey and I was grateful she allowed me to take a picture of her. 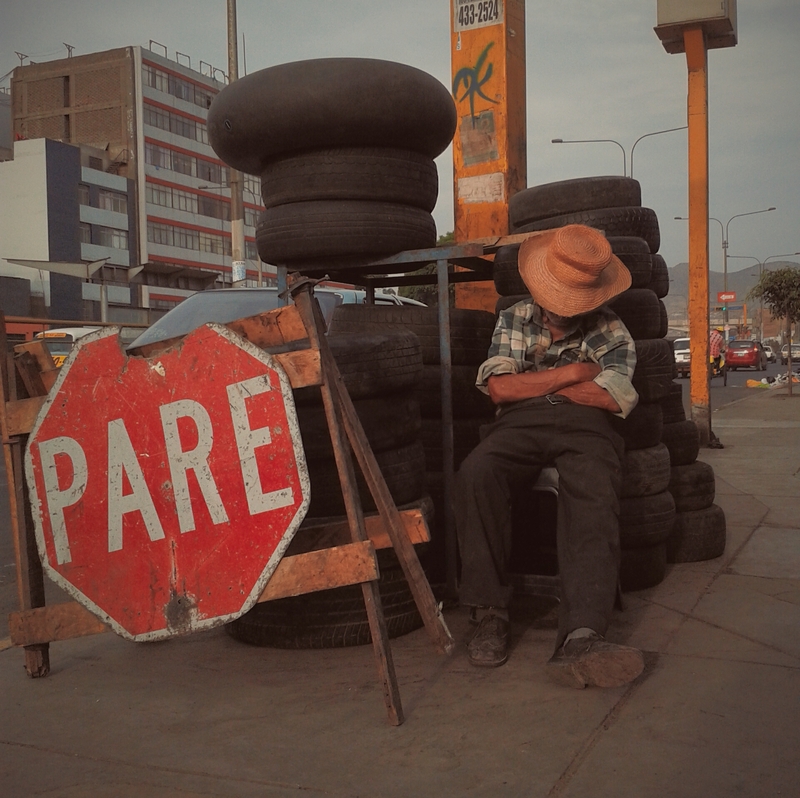 Striding the streets of the bucolic downtown Lima on a busy day a used-tire vendor had his ‘pause button’ on, I took out my camera phone and snapped this candid shot. So far is one of my favourites. Processed with VSCo Cam® for Android. Please feel free to comment or ask me anything on the box below. “If your photographs aren’t good enough, you’re not close enough.” – Robert Capa. When first reading Capa’s statement I took it literally and I got a candid black and white street picture of a cassava vendor in accordance to that. One good Tuesday I learned that street photography is colorful as well. It happened when walking my dog and stumbling upon a two-tone wall and a senior lady with matching colours entering right into my camera phone frame. Later on I used VSCoCam® for skin tone correction and balance while enjoying Eggleston’s takes. Got any questions? Just drop me a line or two on the comment section. I wanted to start this page with one of my favourite candid captures made with my chunky mobile. It is said that black and white are the colors of street photography so, here it is. I will post a coloured version on the next post processed with VSCoCam® for Android®.